Congrats for the cool blog. 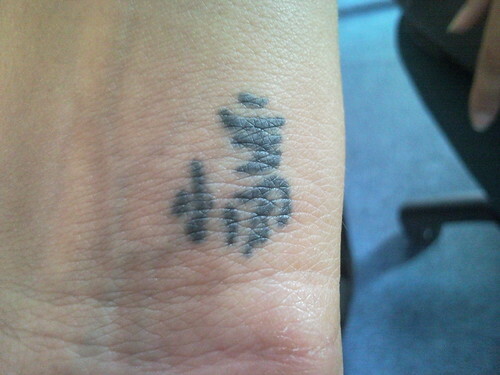 A colleague has this tattoo done a couple of years ago and she was told it is suppose to mean “strength”. Does it really mean that or anything else at all? 小畜 originated from the book of I Ching, meaning "small accumulating". Other variations include "the taming power of the small" and "small harvest". I don't see the connection between that and "strength", unless there is some kind of six degrees of Kevin Bacon I Ching I didn't know about.